Completely self-contained units that are easy to connect directly to laundry tray tubs. Lightweight and compact, these models eliminate reservoirs, traps, extra fittings and costly labor. 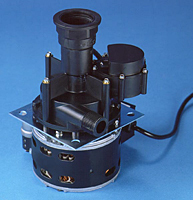 The LTA-1 includes a pressure-activated switch that turns the pump on when water enters the tub.